11 August, 2017, New Delhi: After the move by the Chief Ministers of Uttar Pradesh and Punjab, the Government decision of banning the red beacons across India has been a good move toward reducing the VIP culture in the country and has been appreciated by citizens. Some strong steps were required to control this menace and this move was certainly one of them. But it seems like a lot more needs to be done to completely eradicate VIP culture from the country. 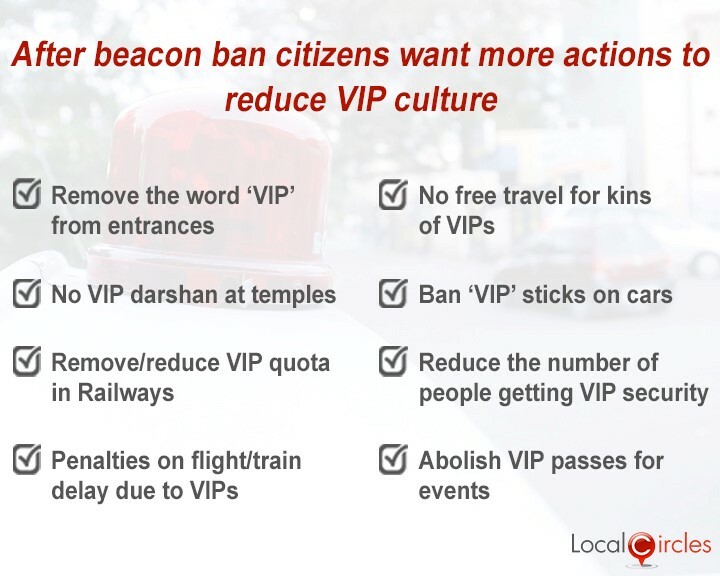 Many citizens in different discussions on LocalCircles mentioned that since that banning of red beacons, people have been using other means to show their ‘VIP’ importance. In a poll conducted by LocalCircles to do a ground reality check on VIP culture which received 9021 responses, people were asked how VIPs were traveling on roads in their city. Surprisingly, 15% said that VIP cars were still using red beacons. 31% said that VIP cars don’t have beacons but are instead using loud sirens. 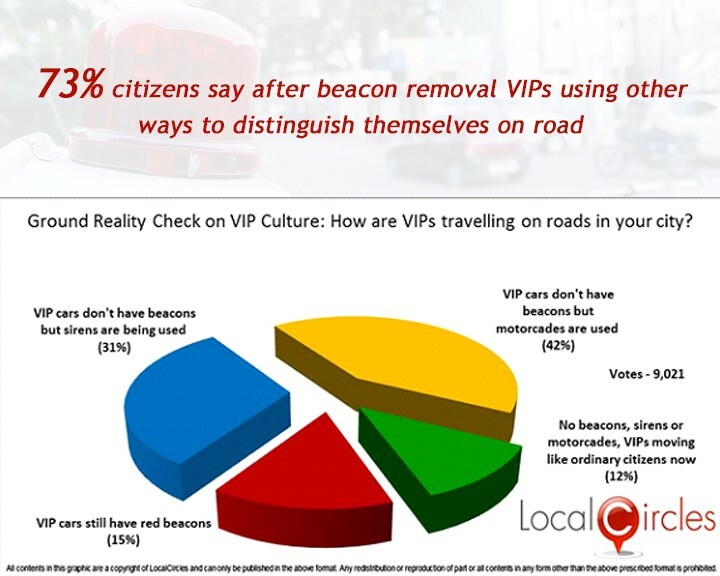 42% said VIPs are using motorcades instead of sirens and only 12% said that VIPs were moving like ordinary people without using any beacons, sirens or motorcades. Although the use of red beacons has been completely banned by the government, sirens are widely being used by VIP cars. Also, things like VIP passes, VIP quotas, VIP entrances etc. does not let the culture move out of our system. 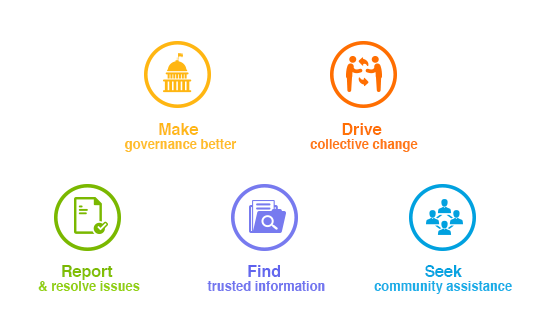 Citizens also suggested other measures which could lead to a major reduction in VIP culture. These include removal of the word VIP from entrances, no VIP darshan at temples, reduction of VIP quota in railways, penalties on flight/train delays due to VIPs, no free travel for the kins of VIPs, banning VIP stickers on cars, reduction in the number of people getting VIP security and abolishing VIP passes for events.